Moving people around safely and smoothly has always been on our minds at Control Solutions LLC. Our software-programmable motion control systems have hundreds of customizable parameters that are optimized for each market application. 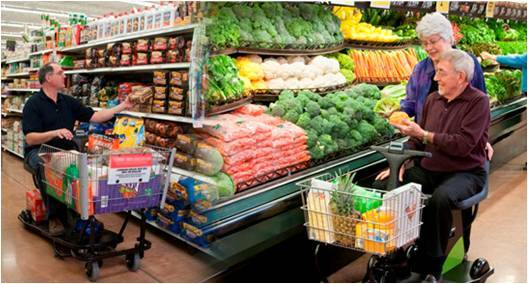 For personal mobility, especially heavy-duty grocery store shopping scooters, Control Solutions LLC has worked closely with scooter manufacturers to design, integrate and manufacture cost-effective, high-performance controls, chargers and user interface actuators that can stand the rigors of everyday use in retail stores. Control Solutions LLC isn’t just about moving people around safely. Our motor controllers are a scalable family of products that can handle higher-amperage motors and heavier duty cycle applications.